Childhood traumatic stress is the psychological reaction that children have to a traumatic event, whether it happens to them or they see it happen to someone else. These events can affect children’s brains, emotions, and behavior in the same way traumatic events can affect adults. Sometimes, going through a traumatic event can cause real attention problems. But trauma and ADHD can be confused in diagnosis because the symptoms of trauma mimic those of ADHD. Some studies show that children diagnosed with ADHD are more likely to have had a traumatic event than children who don’t have ADHD. Scientists have also found that ADHD and childhood traumatic stress affect the same region of the brain: the prefrontal and temporal cortex, which controls emotions, impulses, and decision-making. The left brain is for attention and the right brain is for atunement as shown above. 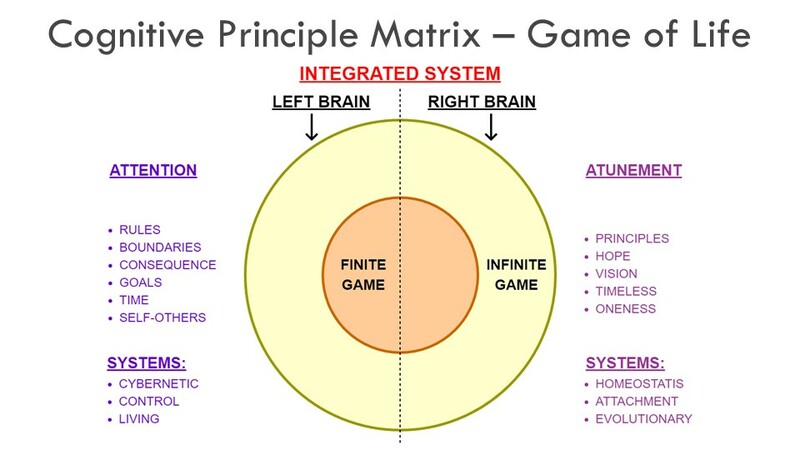 In cases of ADHD/PTSD the left brain struggles to pay attention and the right brain is activated. The cause could be due in the inability to concentrate and pay attention due to external triggers or intrusive internal thoughts from the PTSD which shifts the mind to the right brain. 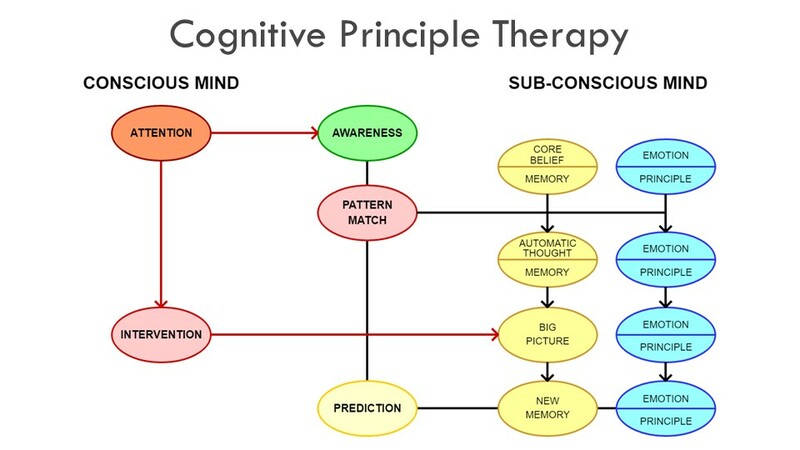 Note: The model also shows the intervention inserted using a CPT technique to change the predicted outcome. Alternatively, the person could stay in negative mind wandering and move deeper into avoidance and withdrawal. The body feels a sense of numbness. 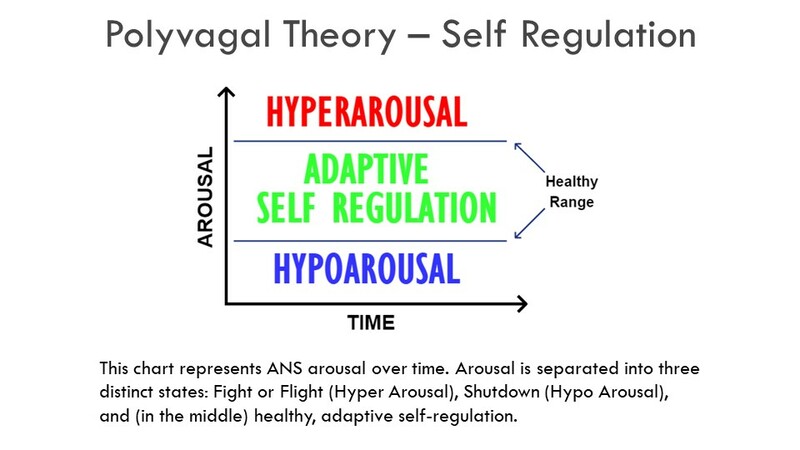 [PTSD-withdrawal or freeze by triggering the dorsal vagal nerve] In polyvagal theory the degree of self-regulation determines which pathway is activated. When the ADHD/PTSD person is in a neutral or positive state then they may initially loose concentration and move out of the left brain, but into the DMN- Creative Mode, where, depending on their abilities, could produce highly creative ideas. The predictive mind could create enough positive energy and attention to produce their creation or fantasy. The ADHD part could be due to a chemical or brain structure difference in the person. Trust-Their trust has been broken. Respect-Someone has disrespected them through some type of abuse. Acceptance-They have not been accepted for some reason. Commitment-They have weakened commitment [attention deficit] as judged by others. 1. 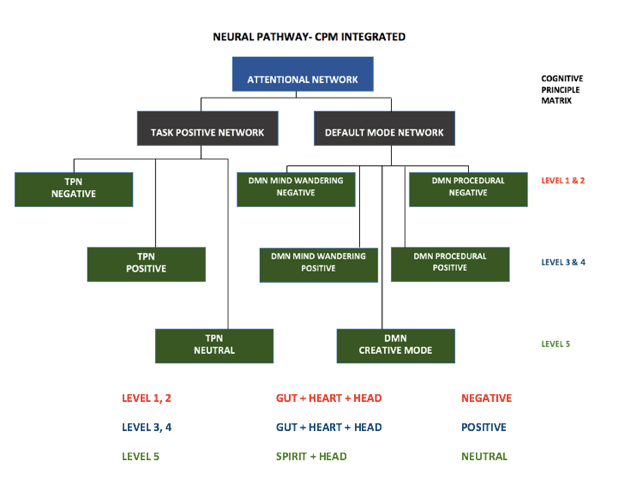 The person moves to their gut brain which triggers their negative core beliefs which caused the engagement breakdown. 2. Tests the degree of impulse control. [Self regulation] The gut brain principles which are tested are courage, patience, assertiveness, calmness and self-control. The negative core beliefs and loss of impulse control will destroy causing an over or under responses. 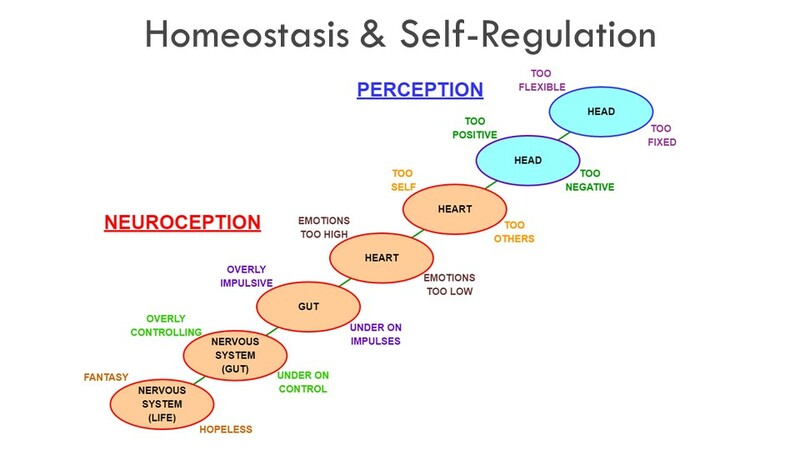 Gut brain and below are body responses, normally not easily understood by the head brain. Heart brain are emotional responses. Head brain are automatic thoughts. It may only be trauma or ADHD. It varies with each individual.